Midweight Motion Graphics Artists – come work alongside world class creative talent to produce animated solutions for a varied roster of clients, this is your chance to join a growing studio in Sandhurst, Berkshire. If you see this as an exciting opportunity to help grow a business, and wear multiple hats at the same time as doing some serious animating, you’ll fit right in! We’re a warm, collaborative team who love to share ideas and find clever ways to get the job done by drawing on each others’ strengths, taking ownership of projects, taking pride in their delivery. We favour an open office environment to nurture that collaboration. In the Creative Services part of the Fudge business, we’re a small but mighty mix of animators, client managers, strategists and commercial business development and we work with a wide range of clients to understand their business goals and their constraints, and to help them achieve the outcomes they’re after using animated video. We believe animation makes complex messages simple, creates connections and supports relationships between brands and audiences, and ultimately has an unparalleled capacity to engage and delight. We love our clients – they challenge us, and they inspire us, and they’re a varied bunch which means we get to help them tackle a whole range of interesting challenges as they grow their own brands and businesses. – You’ve a solid grasp of the basic principles of animation and design, trained to degree level to understand typography, movement and layout etc. – Hit the ground running! If this sounds like you, send us a link to your showreel and to attach your CV. Sorry, but those not including a link to a showreel won’t be considered. 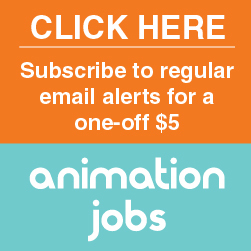 Job Categories: Motion Graphics. Job Types: Full-Time. Job Tags: #2D, 2.5D, Adobe Creative Cloud, After Effects, animation, C4D, client, client-facing, communication, conceptual skills, degree level, delivery, Design, duik, Element 3D, file specifications, illustrator, In-House, Joysticks, layout, Lens Flare, Maya, Motion Graphics, movement, not remote, On Site, Ouroboros, photoshop, Plexus, Premiere, production, production pipeline, projects, sandhurst, Sliders, Storyboard, technical, tell stories, Trapcode Particular, typography, Video Copilot, video workflow, and VR.